Gone are the days when you had to always chug along your bulky DSLR anticipating that perfect shot. While DSLRs do offer a wide range of quality benefits over phone cameras, nothing comes close to the convenience of a smartphone. With Google’s Camera2 API, you can take pictures in the RAW format right on your Android smartphone and edit them later extensively. Earlier, we saw some of the best raw camera apps for iPhone and iPad. And today, let’s take a look at some of the best apps on Android that allow you to shoot in RAW and get the most out of your phone camera. Kicking off the list is Open Camera, a free light-weight app for both amateurs and pros alike. Not is it completely free with no in-app purchases or ads, it is also a fully open source. But don’t let this fool you into underestimating the capabilities of this app, as it’s no slouch and goes head to head with several heavy hitters in the category. Open Camera provides controls for tweaking the ISO, exposure, white balance and all other elements of your smartphone camera. 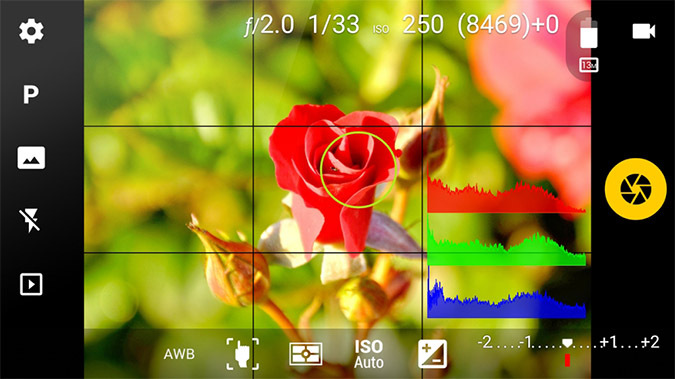 It supports various modes of shooting including a Dynamic Range Optimisation mode. This app comes with a lot of bells and whistles like voice command photo capture, screen flash, optimized UI for both left-handed and right-handed people, and even a dedicated widget overall which combines to give this an app a complete experience. And of course, using the Camera2 API, Open Camera produces some crisp photos, all of which you can store in RAW. If you are looking for a light-weight and a completely free camera app that doesn’t lack manual controls and features, all besides shooting in RAW, Open Camera might be your next camera app. Adobe Lightroom CC is well known as a powerhouse for editing and creating pro-quality images, that also happens to shoot in RAW in its mobile version. The capture mode here also allows you full manual controls for shooting along with HDR mode and Photoshop Magic which has five formulated presets, offering you live view of the effects and which you can even tweak later after taking the picture. After you have captured your image, you can edit it directly in the Lightroom app with tools ranging from simple one-tap presets to powerful advanced adjustments and corrections. There is also support for connection to other Adobe apps like Photoshop Fix if you want further refinements of your shot. If you are someone who is already heavily invested in the Adobe ecosystem, this app can make your workflow a lot smoother. Even if you are not, and just looking for a camera app with a powerful editor, Adobe Lightroom CC should fulfill your needs. The Google Camera app has a basic mantra at its core: to provide a hassle-free experience to people clicking pictures with their smartphone while not compromising on the photography enthusiasts. But you might be wondering Google Camera doesn’t support RAW capture, and that’s why it didn’t even make this list. 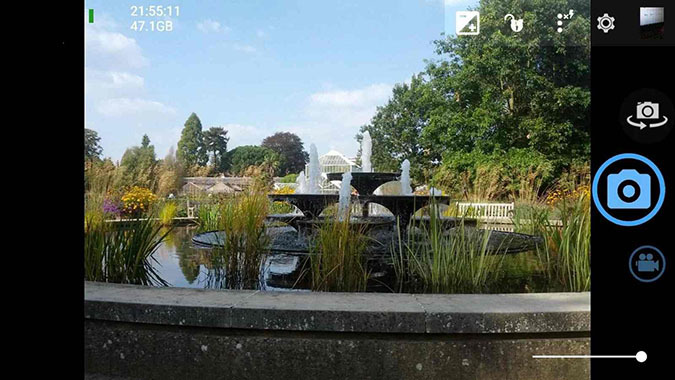 Instead, we have a port of the Google Camera app from XDA, which adds RAW capability and a ton of features like Zero Shutter Lag (ZSL), Lens Blur, 60 fps capture and even HDR+ which was only exclusive to Google’s own Pixel devices. HDR+ boosts the low light capability of your smartphone camera with the reduction in noise and much brighter photos; not only that, in normally lit scenarios, you can rely on HDR+ to produce the best possible photo, all with Google’s software tricks. Note: Before installing, be sure to first check the app compatibility with your device from the XDA page. 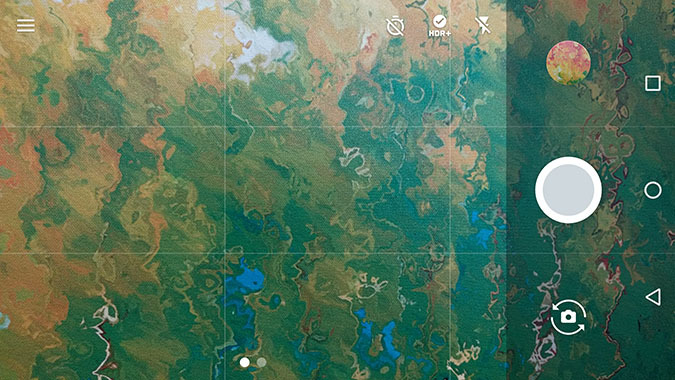 This app is basically the Google Camera app, but with added functionality. If you have been using Google’s Camera app till now, this should be a solid upgrade. Otherwise, if you like Google’s clean layout but had been avoiding it due to its lack of these features, now is your chance! You might know VSCO already, which became huge owing to its crowd-driven marketplace with pre-formulated filters which offer an idiot-proof transformation of your simple photos into a film-like masterpiece. The developers have constantly been pushing new features to the app over the years, one of them which happen to be capturing of RAW images. What sets this app apart from the rest of this list is the plethora of high-quality filters it offers to choose from, that you can directly apply to your RAW image in the built-in editor. Don’t worry, VSCO is not all about its filters as the built-in editor does give quite a lot of editing capabilities like recovering lost highlights, adjusting the color balance and tweaking the hue and saturation. Talking about the viewfinder, it is simple and minimal with access to all the manual controls. If you don’t want to spend too much time editing and processing your RAW image, then VSCO is a godsend. 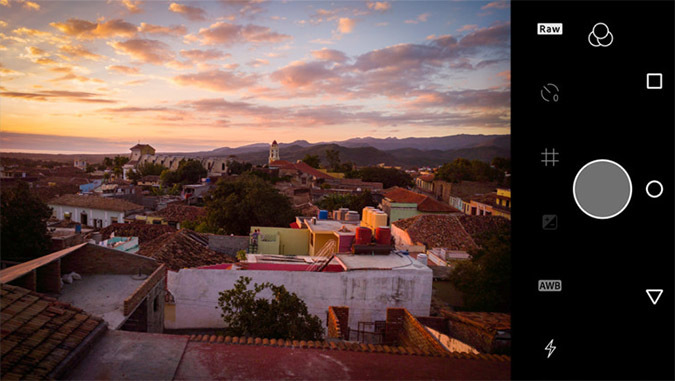 Simply snap your RAW photo, add a filter, export, and post wherever! ProShot is yet another app that shoots in RAW with an innovative camera UI and DSLR-style dials which can be customized with a choice of accent color. 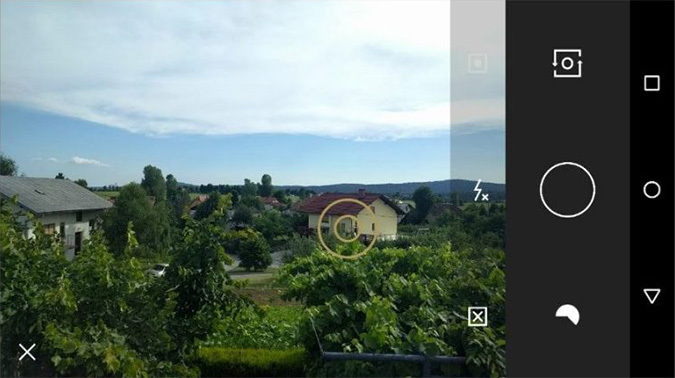 Like the previous three, this app also gives the user the ability to tweak each and every little element of your camera. ProShot has support for shooting full resolution in 16:9, Zero Lag Shutter and Bracket Exposure and the Camera Roll is also fully featured with EXIF metadata. But where ProShot shines is the video department that also has a full resolution Burst mode and a Time Lapse mode, all with full manual controls. While recording video, the manual controls take effect in real time and you will even find a meter for monitoring your audio in real time.Along with all the photo capturing capabilities, the video features are very much welcome and although might be a gimmick for many, surely there are some who will appreciate it. If you are a beginner, all the controls and features might be a little too overwhelming. If you aren’t and might have needs for pro video shooting beside shooting RAW photos, ProShot offers just that and it can be the perfect app for the right person. Footej Camera is a relatively new addition to the ever-growing arsenal of camera applications, but quite unique enough to make this list. Starting with the viewfinder, the UI is breathtakingly refreshing from all the other pro apps out there and does so in a simple and elegant way. Of course, there are the manual controls for tweaking ISO, shutter speed, white balance, exposure and even focal length. Using Google’s Camera2 API, it can produce some stunning shots. But this isn’t where Footej stops and aims at also the fun-loving professionals by adding some other features such as recording animated gifs and selfie light where the app uses your display to mimic a front-facing flash on your phone. You also get an inbuilt gallery, a photo histogram, and a burst mode. If you want a camera app that can do both – offer a pro-like manual mode with extensive controls along with a fun side like selfie light and GIF maker, you might want to check out Footej. 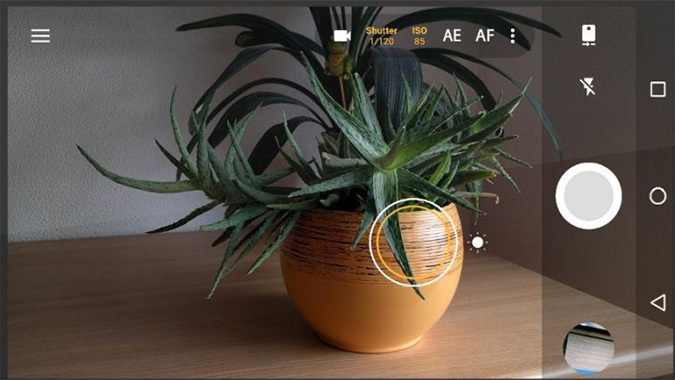 When it comes to photography apps on Android, Camera FV-5 is one of the oldest and most popular, which aims to put DSLR-like manual controls at your finger-tips. This app is mostly aimed at photography enthusiasts and professionals who are looking to get the most out of their phone camera. The user interface is very close to that of a DSLR with all types of manual controls which you can adjust such as exposure compensation, ISO, white balance, manual focus. These are aided by an advanced electronic viewfinder which shows each and every value in real time including an RGB Histogram and various crops and guides. The developers also offer a Lite Version for free, which I recommend checking out first as it gives you a little taste of what the full app offers before investing your money. Camera FV-5 offers manual controls and a viewfinder close to that of a DSLR. So if you have or use DSLRs a lot, with this app you’ll feel right at home. This app strikes a wonderful balance with most of the features in a nicely presented package. If you are using the stock Google Camera app or your phone’s stock camera app, the ported Google Camera is a solid upgrade with various features and a simple UI. If you want something even lighter sacrificing a few features, just for shooting RAW, the Open Camera seems a very good alternative. For the ones who are a sucker for design, Footej’s elegant and beautifully minimal UI will not disappoint. And if you’d like the comfort of editing your RAW pictures directly from your phone, Lightroom CC and VSCO are the apps. 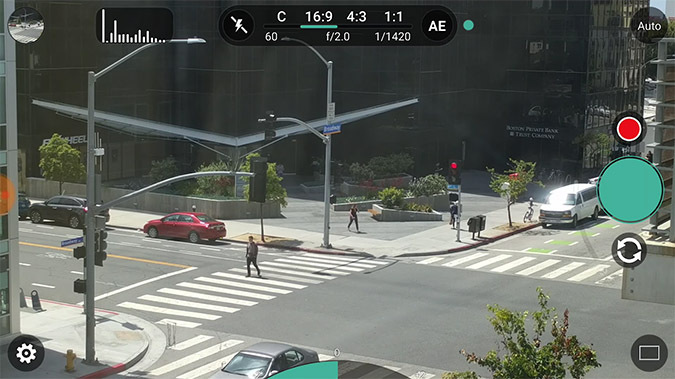 If you are someone, who want a full package with features packed to the brim along with pro video shooting capabilities, no other app can do that like Pro Shot. But for me, Camera FV-5 takes the cake which is priced lower than Pro Shot and offers just the right amount of features in an overall nice package. So this was our roundup of the 7 best raw camera apps on Android. Which one was your favorite and did we miss any? Let us know in the comments below.